Inspiration for the Eleganza came from our end consumers. They were asking for great tasting espresso style coffee they could drink on the go, 24/7. For coffee lovers the choices were limited. We wanted to offer exceptional quality hot drinks from a modern, fast, convenient, hi-tech machine that never closed and never let you down. The coffee tower we had in mind didn’t exist yet, so we designed a unique, innovative solution of our own. Our first step was to find the best quality coffee to stock our new coffee to go machine. Lavazza is the UK’s leading coffee brand for roast and ground coffee, and is the 3rd largest coffee company in the world. Lavazza were ready to target the out-of-home coffee market. By partnering with eXpresso PLUS they were able to enter the fast-growing coffee to go sector. Lavazza found new customers, entered new markets, expanded their brand presence and grew an entirely new revenue stream. 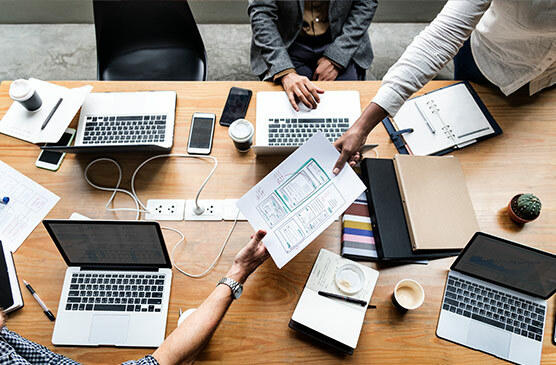 From initial concept to market entry, creating the Eleganza has been a dedicated process, built on relevant customer insights and brought to life by a team of skilled experts. With over 55 years’ industry experience, we’ve forged long-lasting partnerships with technology innovators and machine manufacturers. Like us, our partners lead the way within their industries, offering best-in-class products and equipment. As existing partners to our solution range, we collaborated with four cutting-edge companies in order to design and build the Eleganza to the highest spec. Our technology partner have been manufacturing electronics in the UK for over 30 years. We asked them to engineer the Eleganza’s HD touch-screens, customisation capability and remote reporting functionality. We worked with multi-award winning companies to bring the Eleganza to life. 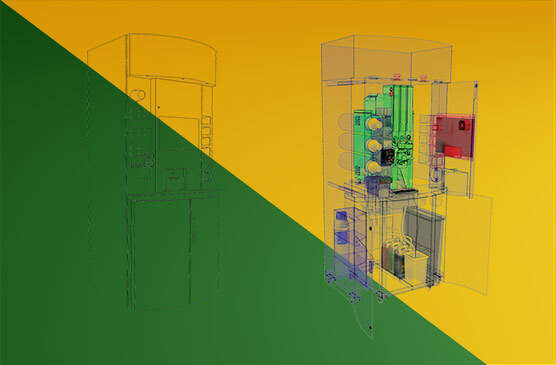 Our partners design and manufacture leading-edge hot drinks machines with a focus on user-experience. We collaborated with a UK based design agency who are at the forefront of innovation for graphics and large scale printing. We joined forces to create the Eleganza’s eye-catching branding. We installed world-renowned water filters within the Eleganza. Well filtered water is vital for a perfectly flavoured tea or coffee and, crucially, it protects internal machine equipment from limescale. 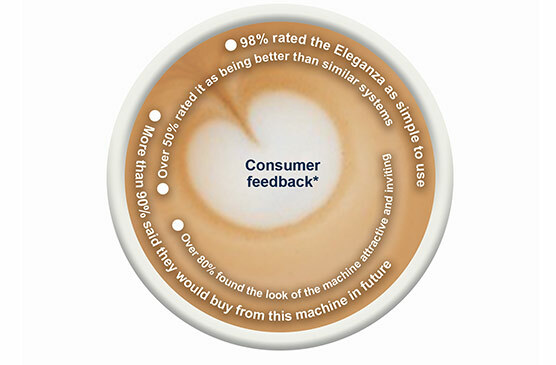 We trialed the Eleganza with customers and feedback was overwhelmingly positive, with over 90% of people saying they would buy from the machine again. The freedom to choose from 200 hot drink options, to tailor coffee strength, adjust milk levels, add flavoured syrups or choose fresh leaf tea resonated with customers and turned take-away coffee into an enjoyable consumer experience.